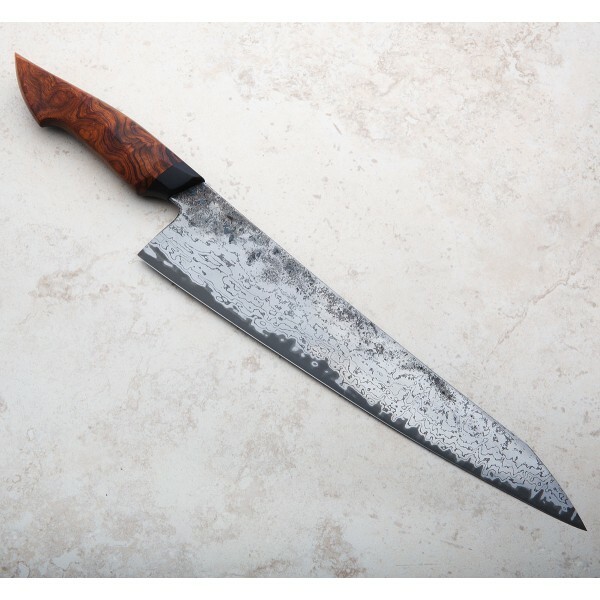 At 280mm / 11" this is the largest gyuto from Jelle Hazenberg to date, forged from his typical 22-layer damascus clad san mai with White No.2 core. With excellent weight distribution and a balance point just under an inch from the front of the handle, the long, rocking blade is tall at 58mm and tapers from 3mm wide at the choil to just 1mm an inch from the tip. 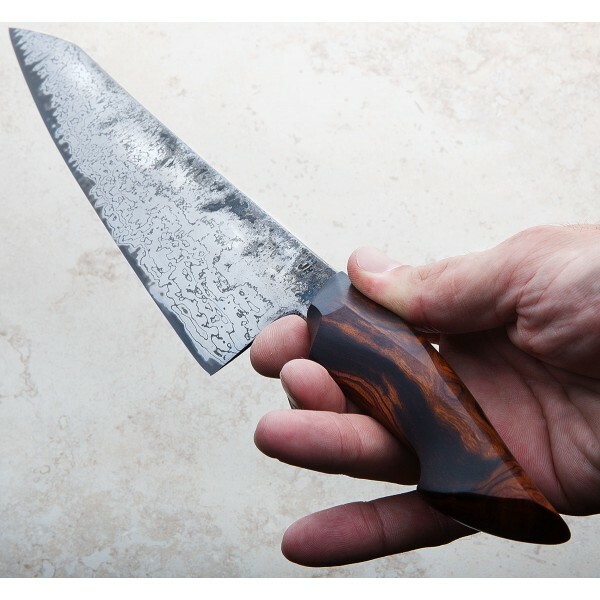 Thin behind the edge yet built like a workhorse with a convex grind and stunning desert ironwood handle this is a knife any chef will enjoy using no matter how large and demanding the task. A handmade leather saya is included. 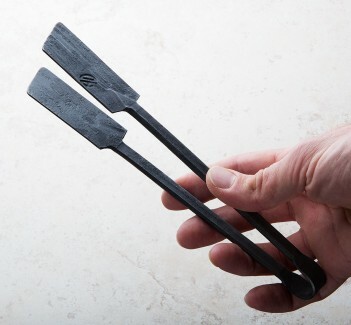 Building handcrafted chef knives at his one-man shop in Ireland, Jelle Hazenberg creates unique, heirloom-quality kitchen knives for professional and amateur chefs alike. 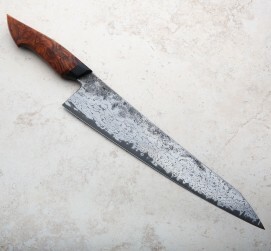 Originally from Holland, Jelle's time working in commercial kitchens has informed his approach to custom knife making, from edge geometry to heat treatment to aesthetic design. 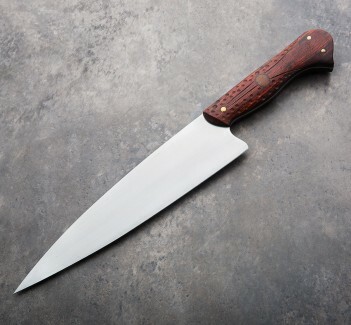 This 280mm chef knife is a gorgeous example of the marriage of form and function that Jelle is quickly becoming known for. Blade length: 280mm / 11".  Overall length: 420mm / 16.5". Blade width at heel: 3mm. Blade width 1" from tip: 1mm. Blade height at heel: 58mm. Weight: 8.3oz / 236g. Blade Hardness: 63-64 HRC. Blade: water-quenched Hitachi White No.2 carbon steel. Handle: Desert Ironwood with blackwood bolster. Hand-stitched leather saya included.